Recording an album that reworks some of the classic old folk songs whose definitive versions in many cases were the originals, certainly doesn't mean modern day musicians can't make a go of them, just so long as they have the talent to pull it off. 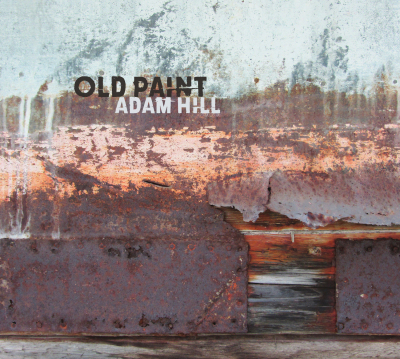 It is gratifying to say that Adam Hill has an abundance of talent and his reworking of these great old songs includes a nod to modernity, but are also true to a tradition that in the main means any new versions of the songs had to have a haunting atmosphere that parallels or at least gets close to the originals, something this album, despite the sparse instrumentation, manages with relative ease. There is a lot of subtle experimentation with sounds on some of the tracks, something else that breathes new life into these old songs whilst still staying true to the tradition. Adam Hill is a man as comfortable on the border of the avant garde as he is in roots music, but one who understands exactly what he needs to do to allow his experimental streak to play around with this old music whilst keeping the songs recognizable as what they are, classic old tales and tunes that can be freshened up and given new legs without straying too far from the originals. This is Adam's fourth album and I suspect anyone hearing it will, like me, want to hear what has gone before. The recording has a lovely clear open sound with a beautifully thought out, yet sparse, instrumentation that is so well selected that if the blend had been available to the originals all those decades ago would almost certainly have been used! The slightly raw, if warm and melodic aspect to his voice and the clean open production clarifies the sparse instrumentation and brings a modern perspective to these old songs, whilst still keeping the haunting, often otherworldly, atmosphere that is endemic to the sometimes dark sinister tales. Fairly obviously Adam has an innate understanding of this old music and knows how far he can stretch both the songs and the instrumentals without losing the power, instead adding a barely detectable but nonetheless existent element of the avant garde ensuring anyone listening, even those died in the wool traditionalists, will find something to applaud in this recording. The album opens with one of great haunting classics of age's old music The Cuckoo, a much recorded tale that whoever sings it carries its own sinister, eerie atmosphere. Here we have Adams evocative vocal, excellent guitar playing and Stephanie Lines haunting backing vocals plus what sounds like a penny whistle in the background to which is added a nice percussive bass sound on a tremendous interpretation. A mandolin, percussion and a cello give Three Hundred Miles an unusual feel and then Adams spacey haunting vocal comes in joined by the lovely bass sound. This is a great version of a great song, added to by the eventual inclusion of harmony vocals on the tale of a hobo's preferred mode of travel. The atmosphere is deep and slightly sinister, conjuring up the world in which the song was originally set. Mandolin and cello give the classic instrumental Soldiers Joy the atmosphere that was probably envisaged in its early days. They are eventually joined by acoustic guitar whilst the bass in the background almost creates the illusion of cannon fire. Fortune is another tremendous instrumental led by guitar and mandolin, accompanied by cello and bass on a piece that has the feel of a high quality classical quartet with this strange otherworldly interpretation of this old timey tune that is followed by, of all things, an old 'cowboy ballad.' It is another unusual interpretation, this time of The Stampede Trail a recording that is powerfully evocative, with bass, easy loping guitar and harmonica meandering their way along. Finally, All The Pretty Horses, includes mandolin, guitar and brass on a sad mournful old ballad that is eventually given a strange but atmospheric discordancy with the intervention of a harmonica. It produces a confusing sound, something that is perfectly sympathetic to the subject matter and indeed to the whole of this unusual, if tremendous, recording. To my ears this recording is the equal of the best of those by modern day interpreters of 'old timey' music but is also set slightly apart from them because of the slightly off centre interpretations that genuinely bring an alternative dimension to the tradition. It is an album that seems to take on even greater depth with every listening session, ensuring it will be in the mix for my albums of the year! A tremendous collection.